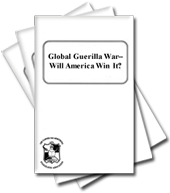 Global Guerilla War - Will America Win It? Tithing and generous giving are biblical injunctions applicable to all people who choose to follow the way of God. The dedication of ten percent of one's income to God is a private act of worship and thanksgiving which recognizes Him as Creator. It is by means of the tithes and offerings of its faithful membership and interested co-workers that the scriptural commissions of the Church of God are being fulfilled. The entire universe belongs to God-He designed it and created it; He sustains and maintains it. God, in fact, owns everything. God created the material universe, including the earth and its resources, as a fit environment for an even greater creation. It was here that God placed man and began the creation of His own character in children eventually destined to be born into His own family. Thus, this earth-and its vast store of animal, vegetable, and mineral resources-is only a preliminary step in a much larger drama unfolding progressively before mankind. It is God's purpose that human beings should eventually attain an infinitely greater role in rulership over God's creation by inheriting not merely this world and its resources but even the entire universe (Hebrews 2:6-8). Every human being owes his entire existence to God-his very life and living. In designing man, God knew it would be in man's best interest to worship his Creator in the fullest, most logical manner. Prayer is an important vehicle for that worship. So is obedience to God's Law, which is His system for governing man's proper behavior and activities. Tithing is an integral part of that Law. The biblical precepts of tithing and giving are essential steps in accomplishing God's ultimate objective for man. The tithe is established by scriptural command and example. Since it is a recognized scriptural principle that "he that is faithful in that which is least is faithful also in much," the steadfast tithing of one's wealth, whether meager or abundant, serves to teach one a profound spiritual lesson. If a man can learn not only to share his substance for the benefit of others in a spirit of humility and generosity, but also to acknowledge that God is the source of all things, then that man shall be developing the very same spiritual qualities required to properly handle the far greater wealth he will inherit in God's Kingdom (Matthew 19:28-29; 1 Timothy 6:17-19). It is with this perspective that the Church of God views the subjects of tithing and giving of offerings. In seeking to more fully understand the mind of God in this respect, we look to the Bible as the expression of God's will. Tithing was ordained by God as one of His ways of teaching man how to honor and worship Him. Tithing is one of the most important ways by which a godly person of deep conviction and dedication can express his acknowledgement of, and appreciation for, God's blessings in his physical life today. Man, through tithing, continuously acknowledges that God is the Creator and Owner of the Universe, and as such has a prior claim on the whole content and produce of our lives. Tithing accomplishes two other important goals in the Christian's life. Through it we build godly character by developing a giving spirit. Simultaneously, we are using our resources to share with others both the message and the blessings of the Christian life. Tithing serves as a means of expressing one's love towards both God and his fellow man. The biblical injunction of cheerfully giving ten percent of one's own income is a physical procedure designed to teach profound spiritual principles and lessons. It is, indeed, in mankind's best interests. Since tithing is biblically enjoined upon all who are called to obey God, the Church of God strongly teaches the overall laws, principles and basic administrative guidelines for tithing as revealed in the Old Testament instructions of God. But tithing, like prayer, is a very private and personal expression of an individual's relationship with his God. It reflects one's faith in God and one's appreciation for the blessings that He has bestowed. Therefore, actual implementation of how one should calculate his tithes is left strictly up to the faith and understanding of that particular person. Tithing is a matter between a person and God. God's Church has always been, and shall always be, a work of faith-a work totally relying on God for support and sustenance, as well as for guidance and leadership. Nonetheless, the Work of the Church in the electronic age of the 21st century requires considerable resources. Gone are the days when itinerant evangelists would walk from town to town preaching the gospel wherever they could find an audience. The media utilized today are the printing press, radio, television, the Internet and mass-audience campaigns. It is no longer possible to be effective and still earn one's own necessary expenses while spreading the gospel. Moreover, the Church recognizes its responsibility to help the poor, indigent and needy in (and outside) the Church who are not always able to receive government help or assistance from some other source. 1) Support of the Work of the Church-both in its efforts to present the gospel to the world, and in providing for the spiritual care and growth of its membership. 2) Attendance at the annual festivals. 3) Assistance to fellow Church members in temporary or permanent financial straits. 1) With some exceptions, all Church members contribute a tithe of their income for the support of the Work of the Church. This contribution is generally supplemented by various voluntary offerings. This goes to carry out the first need indicated above. 2) Members are expected to set aside a tithe in a special fund to meet the expenses of the annual festivals. This money is saved by the individual and does not come to the Church except for a requested small amount to help meet the expenses of renting large convention sites, or in voluntary offerings given at the Feast being observed. While those members who can are encouraged to save the biblically stated ten percent of their income in this festival fund, it is recognized that this is not possible for all. Those whose tithe is more than sufficient are asked to provide help for those unable to meet their festival expenses. 3) Members who are able have the responsibility-based upon biblical precedent-to contribute to an assistance fund to help indigent members (and nonmembers as well). By these means, each Christian expresses his worship of God and outgoing concern for his fellow man as he practices true Christianity and develops character. The practice of tithing long predates the time of the nation of Israel. In the book of Genesis, tithing is mentioned twice. In both instances, tithing is used as a means of honoring God, of showing one's profound appreciation for the blessings God has given. Abraham tithed to Melchizedek on the spoils which he had gained from his slaughter of the five invading kings (Genesis 14:17-20; Hebrews 7:1-4). His grandson Jacob promised to give a tenth of all that he acquired to God. This was after his dream of the "heavenly ladder" at Bethel (Genesis 28). A detailed tithing system was introduced with the Levitical priesthood. The entire tribe of Levi was set aside to carry out the sacral functions with the family of Aaron functioning as a central priestly core. Numbers 18 recounts the basic method of financing the Levites who were responsible for all the priestly and temple services. Various types of offerings came to them, including the firstfruits, redemption price for the firstborn, firstlings, and portions of sacrifices. But the major means of sustenance was the tithe. All agricultural produce was to be tithed at the time of harvest and given to the tribe of Levi. The Levites in turn were to give a tenth to the priests. Leviticus 27:30-33 shows that livestock was to be tithed as well as vegetable produce. Leviticus 27:30-33 shows that livestock was to be tithed as well as vegetable produce. Deuteronomy 14:22-27 describes another type of tithe. In this case it was not to go to the Levites but was saved by the individual to meet his expenses for celebrating the festivals at the central location. This tithe was also levied on plant produce but not on livestock. Instead the firstling* animals are mentioned as being eaten at the festival site. This particular tithe is not given a name here; in later Judaism, it bore the name "second tithe." *A question arises about firstlings. The firstling was a firstborn male; if the firstborn was a female, there was no firstling offered to God from that particular animal. According to Exodus 13:11-15 and Numbers 18:15-18, the firstlings were to be sacrificed and given to the priests. One solution which harmonizes the passages understands that the priests did not receive the entire firstling but only those parts which they received from other offerings as well, i.e. the breast and right thigh. The individual bringing the animal could then use the rest of the meat for his own festival enjoyment. Every third year (that is, the third and sixth years out of a seven year cycle) a tithe of plant produce was set aside for the poor. It is not clear from the Hebrew whether this was designed to be another use for the second tithe or whether it was a totally new tithe in addition to the second. One tradition of interpretation in later Judaism indeed envisioned two separate tithes from Deuteronomy 14, making three in all when the tithe to the Levites is counted. However, most later sources, in discussing the question, see only two uses of the same tithe. That is, it was saved to meet festival expenses in the first, second, fourth and fifth years of a sabbatical cycle, whereas in the third and sixth years it was given to the poor. (In the seventh year the land rested and no tithes were paid. Presumably, the produce of four years was sufficient to meet the festival expenses for the full seven years.) In any event there are three distinct uses for tithes in the Bible: supporting the Work of God, attending the festivals of God, and caring for the poor. Tithing is mentioned in other passages in the Old Testament. Several texts which describe the revival of temple services after they had fallen into decay naturally mention the priestly tithe, since the temple ritual could be maintained only where the priests were sustained by tithes and offerings (Nehemiah 10:37-38; 12:44; 13:12; 2 Chronicles 31:5,6,12). In addition, two prophetic passages mention tithing. Amos 4:4 sarcastically calls on the people to bring their tithes and sacrifices, because these would obviously be of little value in the state of moral degradation they were in. Malachi 3:6-12 is delivered in a different vein: it equates failing to tithe with robbery of God. Curses result from failing to bring in the full complement of tithes and offerings, whereas faithful tithing produces bountiful blessings. "Ye are cursed with a curse: for ye have robbed me, even this whole nation. Bring ye all the tithes into the storehouse, that there may be meat in mine house, and prove me now herewith, saith the Lord of hosts, if I will not open you the windows of heaven, and pour you out a blessing" (Malachi 3:8-10). Many Old Testament scriptures emphasize a responsibility to the poor. In addition to the poor tithe discussed above, provision was made for them in other regulations having to do with gleaning, leaving the corners unreaped and not returning to pick up the forgotten sheaf (Leviticus 19:9-10; Deuteronomy 24:19-21). If a poor man had given his coat as a pledge for a debt, he was to be allowed to have it during the night to keep himself warm (Deuteronomy 24:10-13); the poor hired hand was to be paid at the end of the day because he had no money. One of the major provisions of the sabbatical and jubilee years was the release of debts (Leviticus 25:2-17; Deuteronomy 15:1-11). The Israelites were also forbidden to refuse a loan if that refusal was based on the fact that the year of release was near. Furthermore, they were not allowed to charge interest on loans to needy persons (Leviticus 25:35-36). Oppression of the poor was considered a proverbial sign of depravity and godlessness (e.g. Job 20:19; 31:19; Proverbs 14:31; 19:17; 22:22; 28:3). It was the duty of any person of means to help the less fortunate. It was the duty of kings and rulers to give aid and protection to the widows, the orphans and the helpless (Deuteronomy 10:18; 27:19; Isaiah 1:17). One's responsibility in this regard was continuous. There was no reason to think that strict payment of the poor tithe or other legal demands removed any need for an ongoing, active concern. Whereas the Old Testament provides a definitive system forgiving and financial responsibility toward one's God and fellowman, the New Testament concentrates on the spirit and attitude behind giving. Christian giving is discussed a great deal in the New Testament. The proper, godly use of money is an important subject dealt with by Jesus Christ and the apostles. This use has two aspects: The first concerns the responsibility of a Christian to help the poor. Poverty was evidently a major problem in the early Church, as it was in Palestine as a whole. Acts 4:32-37 describes a period after the outpouring of the Holy Spirit when the Church continued together in Jerusalem living on voluntarily donated property and funds. These donations were not compulsory, so when Ananias and Sapphira sold a piece of property they were not compelled to donate the funds. As a result, when they did, but only turned over part of the amount while claiming to be giving it all, they indicted themselves. Their lie for the sake of self-aggrandizement met with quick retribution (Acts 5:1-11). During a time of famine in Judea the churches in the area of Antioch took up a collection to provide relief. This indicated that those in Palestine were generally harder hit than those further north (Acts 11:27-30). Even churches as far away as Asia Minor and Corinth were encouraged to assist (1 Corinthians 16:1-4; 11 Corinthians 8:1-4; 9:1-5). This is only one of a number of examples. A second aspect of Christian giving is support of the work of the ministry. The apostle Paul was willing to work with his own hands to earn his living on occasion. However, this was only for the sake of expediency, because he did not want to offend those sensitive to such things. 1 Corinthians 9 discusses this in detail. In this passage, Paul is very strong in his comments. He does not mince words; he does not apologize. He emphasizes that he has an absolute right to be supported by the churches in his evangelistic duties. He cites or refers to several Old Testament laws to support his right in this regard, including the ones concerning the threshing ox which was not to be muzzled, and the support of the priests in the Temple. Those who devoted their time to preaching the gospel should receive their living from this work. Those who had already benefited from this preaching-those who had already been converted through his efforts-were the ones who should make possible the continuation of his work. Paul also cites a precedent from Jesus Himself. "In the same way, the Lord commanded that those who proclaim the gospel should get their living by the gospel" (verse 14). This has reference to the time when Jesus sent out groups of disciples preaching in Palestine. They were to preach only where they were provided with hospitality (Matthew 10:5-15; Luke. 10:1-12). Thus, Paul states that Jesus Himself had commanded support of the work of the ministry by the recipients and beneficiaries of that work. Paul himself had not taken advantage of this right in the case of the Corinthians because of their spiritual weakness with regard to this point (verse 12), yet he gladly received help from other churches (2 Corinthians. 11:8; Philippians 4:14-16). "But this I say, He which soweth sparingly shall reap also sparingly; and he which soweth bountifully shall reap also bountifully. Every man according as he purposeth in his heart, so let him give; not grudgingly, or of necessity: for God loveth a cheerful giver. And God is able to make all grace abound toward you" (2 Corinthians 9:6-8). Similarly, Jesus stated, "give, and it will be given to you; good measure, pressed down, shaken together, running over, will be put into your lap. For the measure you give will be the measure you get back" (Luke 6:38). Obviously then, generous giving of one's financial resources to do the Work of God is an absolute command in the New Testament. Money is considered to have potential for either good or evil. It can be used for good, as some of the scriptures mentioned imply. It can also be a source of oppression, greed, egotism and an obstacle to the Kingdom of God. The "rich man" is proverbial. He was generally expected to be arrogant, selfish and despotic (e.g. Matthew 19:24; Mark 10:24; James 2:1-6; 5:1-6). The desire for money is the immediate source of most evils and is easily capable of leading even the faithful Christian astray (1 Timothy 6:10). Thus, a great deal of stress is laid on the right attitude towards money. On the one hand, it is right and even necessary to acquire money honestly to provide for oneself and one's family (2 Thessalonians 3:10-12; 1 Timothy 5:8). It is a means of assisting the less fortunate and of furthering the spreading of the gospel. On the other hand, it can be the cause of all sorts of wickedness and a major stumbling block to proper Christian living. Jesus made reference to the meticulous tithing of the Pharisees (Matthew 23:23; Luke 11:42). In one of His parables a Pharisee is made to introduce careful tithing as one of the signs of his self-righteousness (Luke 18:12). In each case Jesus is condemning the emphasis on judging righteousness by external rituals rather than by the internal and true righteousness of the heart. To have the one without the other is pure hypocrisy. On the other hand, care in these outward matters is not condemned but rather encouraged, so long as the "weightier matters of the law" are not omitted. Consequently then, though it was not His main point, Jesus instructed His disciples that people who want to follow God should tithe when He stated "these ought ye to have done" in reference to tithing (Matthew 23:23). Another direct New Testament reference to tithing is to be found in Hebrews 7. Here tithing is used in an argument to show the superiority of the Melchizedek priesthood to the Levitical priesthood. Even though the Levites received tithes, they had in effect paid tithes to Melchizedek through Abraham because Abraham-who as their ancestor had had them in his generative organs, as it were-had tithed to Melchizedek. Thus, even though Christ was of the tribe of Judah, which did not have the priesthood in Israel, He obtained the Melchizedek priesthood, a superior and perpetual priesthood, through offering Himself as a sinless sacrifice for the sins of the whole world. Tithing as a subject per se is not discussed in the New Testament. The question is, Why? The explanation obviously lies in the historical environment. Tithing never became an issue in the culture of the early New Testament church; it was simply taken for granted. The Temple and its related service were still functioning until sometime after the beginning of the war with Rome in 66 A.D. Faithful Jews of the general Palestinian area would tithe to it. Since no discussion to the contrary is contained in the New Testament, continued tithing to the Levites would have been accepted by Christians in Palestine. Indeed, Matthew 23:23 confirms this from the mouth of Jesus Christ Himself, since it is safe to assume that Christians in those first few decades would have followed what Jesus Himself had stated so recently. However, it was not considered by the Judaism of the time that tithing was required for those living outside the borders of Israel in the same way as it was for the Jews in the Holy Land who had direct access to the Temple. Therefore, it was probably in the diaspora that it first became customary to tithe to the Church rather than to the Levitical priesthood. The fall of the Temple and the attendant abandonment of the temple system must consequently have produced a change in Palestine as well. Unfortunately, our sources outside the New Testament for the early history of the Church are rather meager. We are not told how the Palestinian Church met the crisis of the fall of the Temple or the exact system of financing the work of the ministry throughout the Roman Empire. The change of situation evidently required a new application of Old Testament laws. Recognizing the importance of the existence of the Temple during New Testament times is extremely relevant for understanding why tithing per se was not discussed as an issue. By the time Jerusalem and the Temple fell in 70 A.D., Paul had already written all of his epistles to the Churches. In them tithing had not been an issue. It would have been a diametric contradiction of Jesus' direct words that one "ought" to tithe to the Temple if the apostles in Jerusalem had decided that Christians should stop paying tithes to the Temple and start tithing to the Church instead. It would also have been a severe affront to the priests of God (whom Jesus Himself had supported), and would have resulted in great additional accusations and persecutions against the nascent Church. Had such a radical decision been made, had the Jewish Christians stopped tithing to the priests and started tithing to the apostles, we would surely have some record of it. But there is only silence. As a result, the whole question of tithing as a general Church obligation could not possibly have arisen until sometime after the Temple had been destroyed. During the New Testament period, Christians in Palestine tithed to the Temple and freely gave generous offerings to the Church. Consequently, those who would use the New Testament's silence on tithing as supposed "proof" that God's Church cannot (or should not) teach tithing today betray their historical ignorance. But when the Temple was no longer in existence, when the Levitical priesthood was no longer functioning, a new situation arose. Then, as now, the responsibility of the Church to make binding decisions in applying the laws of God to changing situations became apparent. In this context, it is worth considering Paul's discussion of tithing in Hebrew 7. Jesus Christ, though not a Levite, had a more fundamental (and ancient) right to receive tithes, as "a priest forever after the order of Melchizedek" to whom Abraham (the ancestor of Levi) paid tithes. Therefore, it is entirely logical for the ministers of Jesus Christ to apply the statements regarding tithing throughout the Old Testament, from the example of Abraham to the powerful injunction of Malachi, in teaching the Church membership that they should continue to worship God through the same God-ordained system of tithing that God has always used, and which Jesus Himself supported during His earthly ministry. Only now, rather than the Levitical priesthood, who are no longer carrying out the work of God, Jesus Christ empowered His ministry to accept the tithes of the Church in order to continue the Work of God in this generation. 1) The Levitical tithe was a means of maintaining religious worship and instruction. The theocratic government envisioned for Israel was, of course, replaced by a monarchy. Yet the original purpose for the priesthood and the Levites was the fulfillment of many of the governmental and educational functions of the country, as well as to supply its religious need. In other words, in the theocracy of Israel, the Levitical tithe was used to do God's Work. 2) The festival tithe made it possible to attend worship services at the central altar during the annual festival seasons. This was necessary for the maintenance of religious unity as well as being necessary for individual worship. 3) The poor tithe was a major way of helping the needy, even though other forms of aid were provided to supplement it. The Church of God sees similar purposes continuing today. Tithing, as established by God, is the most equitable, honest and consistent method of establishing the necessary income for the operation of the Church. This supportive responsibility is shared equally by all. Thus, the freewill giving of tithes and offerings-the biblically revealed system-is the God given responsibility of all the members of His Church. It should be recognized that the Church becomes an object of disrespect when it receives only the dregs of the incomes of its members. God should have the first place in a Christian's mind-not the last-when it comes to the proper use of his financial resources; God should come at the top of the list in the allocation of one's income, not as an afterthought. The Church of God reconfirms and reemphasizes its adherence to the basic principle of tithing as established and exemplified in God's Word. The Church teaches the giving of tithes because it is the law of God. Consequently, the withholding of one's tithes, which violates that law, is a sin. Tithing is the biblical method by which God finances His Work. Not only do members of the Church see the examples of tithing and giving and the admonition regarding them in the Old Testament, they have also seen and experienced the blessings which come from faithful tithing and giving of generous offerings. Many otherwise nonreligious people have attributed their financial success to their own freewill giving and philanthropic activities. They follow the principle of "it is more blessed to give than to receive" (Acts 20:35). Conversely, history and modern society are a witness to the evils of selfishness and thanklessness toward God. The fiscal ruin of governments and nations around the world is, at least in part, testimony to the results of financial management without regard for God's laws and principles. Tithing is an act of worship; it is a private matter between the individual and God. The Church does not "enforce" or "police" tithing, but simply teaches the responsibility to tithe. Each individual has the responsibility to honor the Lord with his substance and with the firstfruits of all his produce" (Proverbs 3:9). God has determined that the minimum standard whereby one honors Him is a tithe of one's income. However, what is to be considered income is not necessarily the gross amount taken in. In ancient Israel one tithed his "increase" or produce because there were no tangible expenses. This is not true in modern society. A continual tithing of one's investment would erode the money-producing base. Therefore, it is recognized that what is to be tithed is what comes in over and above the monetary investment. It is considered the responsibility of each individual to determine what his "increase" is. A businessman would naturally deduct the cost of doing business before computing his tithe. If one invested an amount of money which had already been tithed, he would not tithe the entire investment each year, only the actual profits. These examples illustrate that only one's true "increase" is to be tithed. To reiterate, each person should conscientiously determine for himself what his increase is as an act of worship and of obedience to God. Some individuals wonder whether one should tithe before or after government taxes. Here are some general principles to consider. First of all, it is not the tithe that has become a burden, but skyrocketing tax rates. The "tithe" is always a tenth, and never a burden. But taxation rates vary widely and are subject to constant adjustments. A fundamental fact generally overlooked is that in ancient Israel each individual head of household was responsible for making his own decisions, before his God, as to what constituted "increase." Nowhere in all the Bible are specific details or regulations given. God's law provided each head of household with an area of land on which he did not have to pay property tax-much, less rent or purchase price (Numbers 27:11; 32:1-5, 33-42; Joshua 13:8ff., n.b. v. 14). This was the acme of financial security. Furthermore, when God gave instructions about tithing cattle, He did not require the first animal that came down the chute-even though He could have: He asked for the tenth. If no tenth animal came through or passed under the rod, God did not take anything. He simply did not claim the first tenth, only a tenth (Leviticus 27:32-33). The conclusion is that the Israelites did tithe on the bulk of their income. God allowed offerings to take care of that. We follow the same practice today. The Church does not generate a whole legal code governing the interpretation of "increase." In Israel, under Saul, ten percent was exacted from the people for human government in addition to the tithe which was part of the tithing system God had instituted when He had established the nation as His own. Many other burdens were imposed by Saul besides the ten percent tax (1 Samuel 8:10-18). The imposition of taxes in Saul's reign has an important bearing on the question of tithing before or after taxes today. Did Samuel make a ruling that Saul's tax was now deductible from one's increase prior to determining God's tithe? No such ruling is anywhere recorded in Scripture. The Church today has no biblical precedent for deciding that all taxes withheld from salaries are deductible prior to figuring the tithe. On the other hand, the governments of this world seldom limit themselves to a ten percent tax structure. Many are collecting twenty-five percent, thirty percent, forty percent or more in income taxes-oftentimes without allowing any deductions for donations to charitable or religious organizations. In effect, this suggests that governments can exercise the right to a prior claim--prior even, to that of God's-to one's earned income. This becomes obvious when certain countries have legislated eighty to ninety percent tax rates for individuals in the upper income bracket. For individuals in this category to pay tithes on their gross income requires over one hundred percent of their income, a self-evident logical absurdity. Obviously, whenever any government allows its tax rate to become prohibitive, it is proper for the individual whose tax burdens are significant to seek relief from that tax burden by modifying his increase or tithable base. The laws of certain countries-the United States is the best example, permit the taxpayer to adjust his tax base downward by the amount of his charitable contributions. This mitigates the effect of the tax-especially for those in higher tax brackets-and allows a person to more easily continue to tithe on his gross income. In any case, the individual, not the Church, must make whatever decision is appropriate. Whether in a general situation or on any specific question, the individual himself is responsible before his God and he alone must answer to God for his stewardship. This is crucial. Attitude is the key factor. The Church's doctrine on tithing must not be used by members as if it were a legalistically worded personal income tax form, hopefully providing various "loopholes" to lessen tax burdens. No one shall ever enter God's Kingdom with a miserly, selfish, grasping attitude of "get" instead of the loving, sharing, helping attitude of "give." The individual must know, in his deepest conscience before God, that he is living in faith before God and is staying on the generous side of his personally calculated tithing obligations. It is the Church's and the ministry's responsibility to teach the general principle and to provide biblical examples as guidelines. With every nation having its own tax laws, and constantly changing its law at that, there is no possible way for the Church to make a definitive and equitable decision applicable to everyone in the matter of tithing before or after taxes. The same principle holds true for any other potential deduction used to determine one's real "increase" or tithable base. Before coming to a decision regarding, whether to tithe before or after taxes, an individual needs to consider several things: his own financial capacity, the tax rate, the deductibility or nondeductibility of charitable donations, and the benefits received from taxes. These factors vary from country to country. For example, many countries have free education, free medical care, child allowances, and many other systems of financial returns on the tax dollar. How one figures his tithable base and what deductions he makes, are both very personal, private matters between the individual and his God. Any questions of conscience should be more than resolved with the giving of generous offerings when one is able so to give. God is calling us to be co-workers in His work today and preparing us to be sons in His Family tomorrow. Our financial responsibilities toward Him are a significant aspect of our stewardship-they are not part of a game. God knows our minds and our hearts, and whatever we do or think is obvious to Him. Other factors may influence one's decisions in determining the precise nature of his tithing responsibilities. For example, in a situation where a converted husband has an adamantly antagonistic mate opposed to tithing, the man may consider his wife entitled to half the income. This means that the man pays tithes and offerings only on one-half of his actual income. Further, a wife whose antagonistic mate prevents her from tithing at all should consider herself free of any obligation. God's Church uses the tithes of its members and interested co-workers to pay for the spreading of the gospel to the world, which is the Church's commission (Matthew 24:14; 28:19-20). These tithes also serve to support the ministry whose primary concern is care of the local congregations. These two broad concerns cover a multitude of specific activities on the part of the Church. Yet the basic tithe on income does not fulfill one's obligation to God. It simply represents the minimum of a Christian's responsibility. Most Christians freely give offerings well above what is required. In ancient Israel other dues were also required (firstlings, firstfruits, redemption of the firstborn, etc.). In addition, the Israelites were commanded not to appear empty-handed at the annual festivals; they were rather to bring offerings, each according to God's blessings (Deuteronomy 16:16-17). These were offerings of animals on the altar. The material offering today is monetary, and is contributed to help the Church do its Work rather than being burnt on the altar. The amount is voluntary, to be determined by each person on the basis of what he can afford and how he has been blessed by God. It is not the policy of the Church to take up offerings at regular Church services. Normally, each individual sends in his tithe and offerings privately. The only offerings taken up in services are on the seven annual holy days in accordance with the biblical command. Attendance at the annual festivals is considered mandatory for Church members except under unusual circumstances. Most holy day services are conducted in the local church areas and do not require extensive travel or time away from home. However, the Feast of Tabernacles is conducted at a few central locations and generally requires some travel as well as necessitating a person's being away from home for the entire eight days. Consequently, one's participation requires planning ahead. Based on the precedent of the Old Testament festival tithe, the Church teaches its membership to set aside an additional tithe for festival expenses. Since the calculation of the festival tithe in the Old Testament was slightly different than for the Levitical tithe (omitting cattle but including firstlings, which were usually fewer than ten percent of a flock or herd), the exact percentage of one's income saved for the festivals may be somewhat variable. Nevertheless, the biblical standard is a tithe, even though it may be a test of one's faith to set it aside. If one feels he is unable to save a full tithe, he should save what he can and still attend the festivals. The precise administration of the festival tithe, in both its saving and its spending, is the sole responsibility of each individual. Those who have more than enough should make their excess available to those less fortunate who are unable to afford to attend the Feast. This can be done by sending the excess to a central fund which the Church maintains to help those with such needs. The money each member saves in his own festival fund is, of course, his to use-within biblical parameters-for his own enjoyment of the festivals. He may wish to take part or all of his holy day offerings from it, but any given to the Church is done so on a voluntary basis. The festival fund is not money for the Church, but money for the individual: to enable him better to worship God, to learn to be a responsible and mature member of the body of Christ, to enjoy the physical pleasures God has made available, and to help others rejoice as well. Because part of the expense of the central Feast of Tabernacles celebration is the cost of renting facilities, the Church, as a purely administrative policy, may request the members to send in a portion of their festival fund to help meet this collective Church expense. While the exact implementation of the Old Testament tithe for "the Levite, the stranger, the fatherless, and the widow" (Deuteronomy 14:29; 26:12 is not entirely clear, the Church applies it in principle as a method of providing funds for the assistance of the needy. A significant number of members either follow precisely the biblical system of setting aside a tenth of their income in the third and sixth years in a cycle of seven, or they apply the intent of the law by averaging the amount of tithe over every year. The primary goal is, of course, to develop the godly attitude of giving cheerfully to help one's fellow man. Many people follow this today and have personally experienced the additional blessings that come from so giving. One should be willing to help others in whatever way possible, whether it be in time donated, in gifts of goods or money to charity, or in one-on-one aid where needed. But for the assistance of its own members who are in need, the Church maintains this "assistance fund" to which those who can are asked to donate. Of course, anything sent in to this fund should be for the poor, not from the poor. It is neither wisdom nor godliness to make one's own self and family destitute in order to help others. It makes no sense at all for a person to attempt to contribute to the Church's assistance fund when that contribution is going to place his own family in need of assistance. A person can give to the point that he destroys his base for producing the income which allows him to give. This does not reflect the mind of God. One has to be willing to sacrifice everything, even one's own life, if necessary, in the service of God. Yet the time for such sacrifice occurs only on rare occasions. To sacrifice one's health or to ruin one's finances when the occasion does not demand it is foolish. On the other hand, to withhold aid when one has the ability to give, to help and to alleviate suffering is often condemned in the Bible, Just as one's financial resources may be a means of showing love to another person, so is excessive concern about material possessions a way of showing un-concern, selfishness and even hate. Over-generosity is seldom (never?) criticized in the Bible; lack of generosity is often censured (Matthew 25:31-36). It is the policy of the Church that the membership contribute to the assistance fund on an individual basis according to their individual ability. In the light of varying laws regarding welfare, Social Security, national health programs, etc., which can be considered a part of our assistance to the poor since they are supported by our tax dollars, there is considerable latitude in the interpretation and implementation of this special "poor tithe." Consequently a person can decide on his own what percentage of his income he shall give to help the poor according as he is able and as God has blessed him. Of course, it is meaningless for those receiving assistance from the Church or government to try to aid others until they are financially sound themselves. Christians are to care for those in need who are ineligible for government welfare, or who cannot subsist on welfare alone. We must all, as much as possible, go above and beyond the taxes we pay for welfare in taking care of the needy and the handicapped. In fact, biblical law teaches that we must do more than fulfill the poor tithe (Deuteronomy 15:7-11). Even the strict payment of a ten percent poor tithe did not relieve Christians of their continuing responsibility to be concerned for the poor. In summary, it is the policy of the Church to continue the tradition of the biblical "poor tithe" to take care of its needy, with whatever modifications are necessary to adapt it to our present economy. The Church has the God-given responsibility to make such decisions based on biblical directives and principles, and the individual member has a similar responsibility to determine what his proper contribution should be. Service to God consists of many things. A multitude of people will voice the desire to serve God, whether or not they really intend to seek out the means of doing so. Perhaps no other area is more sensitive in this regard than the financial one. But, as the book of James states, Christian love consists of more than kindly words or sweet platitudes. One can, of course, serve through encouragement, counsel and prayer. But the work of the Church cannot go on in this modern world without the necessary finances. Diligence in this area is often the test of one's real desire to serve God, to discover whether one is willing to put one's full faith in His Laws and His Ways. God is the greatest giver. He is the one who gives life and makes everything possible and enjoyable by His wonderful creation. God has set the example of giving by supplying what could never be repaid, and giving it to those who could never return the favor. Giving is at the heart of Christian love. We all receive; we show our appreciation by offering and contributing what we can to God and to our fellow man. God, in His infinite love, gave us His Son, setting the ultimate example of generosity. The biblical precept of giving tithes and offerings provides man with the opportunity to emulate this facet of God's character in a material as well as a spiritual way. By establishing a minimum standard of ten percent, God teaches us that we can give more to Him than is "required"-and makes us inwardly richer in the process. Many people have liberally given above and beyond what would be "required" in order to do God's Work more effectively, and to assist the needy in God's Church more fully. As a direct result, these generous Christians have experienced the great rewards, both physically and spiritually, of God's blessing. Tithing must be-and must so be represented as being-a very personal matter between the individual and his God. It must never become a case of some being more "righteous" than others in determining their tithable base. The offerings of everyone should be sufficiently above and beyond what is "required" (depending on individual circumstances, of course) that any doubts about having tithed fully and properly before God are obviated. Everyone should be careful in giving specific advice in matters of tithing to others. How one determines his increase is a personal matter between that person and God. The most important point to remember is simply that tithing, like prayer, demonstrates the very essence of one's own personal dedication to God, to the Savior, Jesus Christ, and to the very Work of which Christ is the living Head. We cannot enter into God's Kingdom by deception, either in our private prayer lives or in our private tithing lives. We must beware of the "leaven" of the doctrines of either extreme: of the Pharisees, who tithed with rigorous, minute, painstaking and self-righteous effort; or, conversely, of those who are careless with their income, think selfishly and do not have a true spirit of giving. Christ commands us to "Give, and it shall be given unto you" (Luke 6:38). Giving is commanded. Nevertheless, God allows us to decide whether we will obey. Never should any person attempt to "check up" on somebody else concerning faithfulness in tithing. We all should recognize that if a person is being unfaithful in tithing, he will, in all probability and as a natural consequence, be slackening in other equally personal aspects of private Christian life. The attitude and the intent of the heart are the whole thing-they are what counts. It is not Church policy to disfellowship a Church member for not tithing. When serious spiritual problems emerge and tithing is one of several other deeply personal matters which come to the surface, disfellowship may have to occur. But neither the primary nor the covert reason for such disfellowship should ever be the amount of one's contributions. Those who hold, or seek to hold, offices of spiritual responsibility in the Church should be judged by a higher standard. The position of trust that they hold before the brethren presupposes that they have been found fully faithful in the area of tithing and generous giving. Those who teach others what to do are required to first set the proper example in their own lives. Far more important than an individual member's wisdom regarding the manner in which he determines his increase is his attitude toward it. A truly converted Christian is full of the spirit of giving-and is not filled with greed, covetousness, selfishness or resentment for having to give to God's work. God looks on the heart, not in the pocketbook. It is where Christ's ministry must also look-on the heart. And indeed, this is what the Church stresses. The Pharisees tithed with punctilious exactness, but it took a widow with two mites to illustrate generosity of heart-she gave her all. The Bible is replete with financial admonitions, for example, in 2 Corinthians 9:5 Paul states: "Therefore I thought it necessary to exhort the brethren..." 2 Corinthians 9:6-9 goes on to fully exemplify God's attitude. Tithing is a God-ordained means of giving. It supports the Church, enabling it to become God's instrument in performing His Work of giving that most precious thing, knowledge of the way to salvation and eternal life. Tithing also makes possible material help to hundreds and thousands of unfortunate people who do not have enough. Tithing is a natural and living law of God which is awarded in many ways, even though reward is not the object of that giving. Many faithful tithe-paying Christians have learned that one cannot out give God. The opportunity to tithe is considered a privilege. Those who have dedicated their lives to God can testify that there is no greater blessing than that which comes from the outgoing actions of helping others. Tithing is an expression of honor, love and obedience to God and His laws, and of outgoing concern toward both the brethren in the Church and the people in the world. Hebrews 2:6-8 - Man will eventually rule the Universe. Matthew 19:28-29 - If we share our substance, we will reap 100-fold. 1 Timothy 6:17-19 - Trust not in uncertain riches. Genesis 14:17-20; Hebrews 7:1-4 - Abraham tithes to Melchizedek in Genesis. Genesis 28 - Jacob tithes. Malachi 3:6-12 - Failing to tithe is robbery of God. Leviticus 25:35-36 - Israelites not allowed to charge interest on loans to needy persons. 2 Corinthians 9:6-8 - Sowing and reaping. Luke 6:38 - Give and it shall be given unto you. 2 Thessalonians 3:10-12; 1 Timothy 5:8 - Importance of earning money to provide for your family. Acts 20:35 - It is more blessed to give than to receive. Proverbs 3:9 - Honor the Lord with thy substance. Matthew 24:14, 28:19-20 - Church's commission to spread the gospel. Deuteronomy 16:16-17 - Holy Day offerings. Matthew 25:31-36 - Jesus admonition to help the poor and needy. Deuteronomy 14:29, 26:12 - Assistance to the needy. Deuteronomy 15:7-11 - Attitude we must have in helping the poor and needy. 2] God owns everything, including all the income we produce. True or False? 4] Tithing is an integral part of the Law. True or False? 5] God has a prior claim on the whole content and produce of our lives. True or False? 8] Tithing was first introduced to the nation of Israel after they came out of Egypt. True or False? 9] There are three distinct uses for tithes in the Bible: supporting the Work of God, attending the festivals of God and caring for the poor. True or False? 10] Can a man rob God? Yes or No? a) he which soweth bountifully shall ____also bountifully. b) God loveth a ________ giver. 12] Giving of one's financial resources to do the Work of God is an absolute command in the New Testament. True or False? 13] After the destruction of the Temple in 70 AD and the discontinuance of the Levitical priesthood, tithing continues to the Church of God. True or False? 15] Members of the church have experienced blessings for faithful tithing and giving. True or False? 16] The church is there to enforce and police the member's tithing and giving. True or False? Honour the Lord with thy _________, and with the __________of all thine increase. 19] There is nothing in scripture to support deducting tax withholding from determining increase. True or False? 20] Whenever the government tax becomes prohibitive, it is proper for the individual to modify his or her increase or tithable base. True or False? 22] The basic tithe on income fulfills our obligation to God. True or False? 23] The Word of God commands us to bring offerings before Him on the seven annual Holy Days. True or False? 24] Regarding the Festival Fund, which of the following statements are true? a) Attendance at annual festivals is mandatory. b) The Feast of Tabernacles is held at a few central locations and requires being away from home for eight days. c) the church teaches membership to set aside an additional tithe for festival expenses. d) the exact percentage of one's income saved for the festivals may be somewhat variable. e) if one feels unable to save a full 10% tithe, he should save what he can and still attend. f) The precise administration of the festival tithe in both its savings and its spending is the sole responsibility of each individual. g) Those who have more than enough funds should make their excess available to those less. fortunate. This can be done by sending the excess to headquarters. h) a member may wish to take part or all of his Holy Day offerings from festival funds. i) the festival fund is not for the church but for the individual. j) because of headquarters cost for securing festival sites, the church may request members to send a portion of their tithe to meet this collective church expense. 25] Regarding assistance to the needy, which statements are false. a) the primary goal is to develop the godly attitude of giving cheerfully to help one's fellow man. b) no blessings are promised nor implied for helping the poor and needy. c) Helping the needy could be in the form of time, material goods or money. d) the church maintains an assistance fund to which those who can are asked to donate. e) even the poor should contribute to the fund for the poor. f) to withhold aid when one has the ability to give is often condemned in the Bible. g) one cannot consider welfare laws, Social Security or national health programs, i.e. our tax dollars earmarked for the poor in deciding what percentage of his income he shall give to the poor and needy. h) we must all, as much as possible go above and beyond the taxes we pay for welfare in taking care of the needy and handicapped. i) Deuteronomy 15:7-11 states that we must do more than fulfill the poor tithe. j) each individual member must decide what his or her proper contribution should be. 26] Regarding the "Law of Giving", which of the following statements are true? a) God is the greatest giver. b) God supplies what could never be repaid. c) Giving is at the heart of Christian love. d) God gave us His Son, the ultimate example of generosity. e) the biblical precept of giving titles and offerings provides man with an opportunity to emulate this facet of God. 27] Since tithing and giving are a private matter between the individual and God, it should never be used as a tool to appear more righteous than others because of the amount or how we figure the amount. True or False? 28] Everyone should be careful in giving specific advice in matters of tithing to others. True or False? 29] Giving is commanded by God. True or False? 30) It is the policy of the church to disfellowship a member for not tithing. True or False? 31] A truly converted Christian is full of the spirit of giving. True or False? 32] God looks on the heart, not the pocketbook. True or False? 33] Which of the following statements are false? a) tithing is a God-ordained means of giving. b) tithing enables the church to spread the knowledge of the Salvation Process. c) tithing makes possible material help to hundreds and thousands. d) tithing is a natural and living law of God. e) one cannot out give God. f) the opportunity to tithe is considered a privilege. g) tithing is an expression of honor, love and obedience to God and His laws and of outgoing concern toward both the brethren in the church and people in the world.